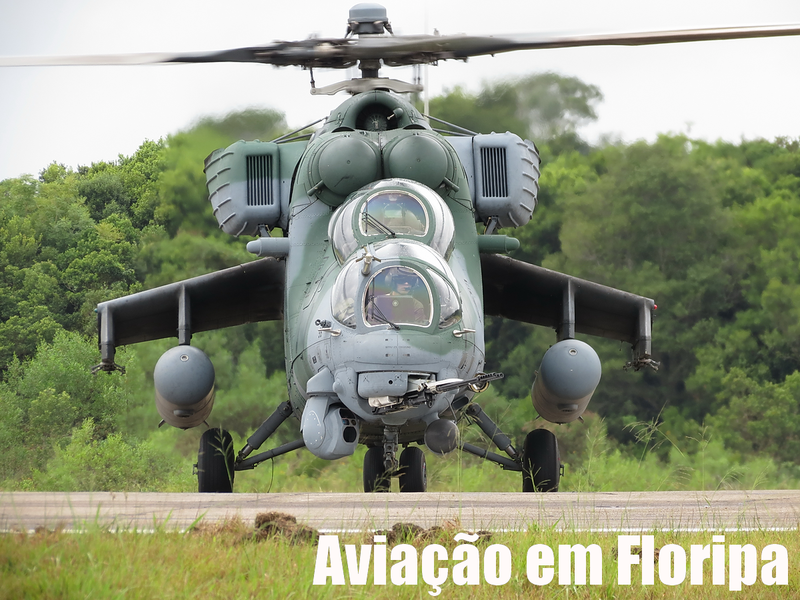 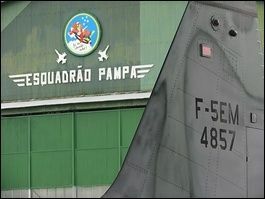 Aviação em Floripa: Um P-47 Naval? 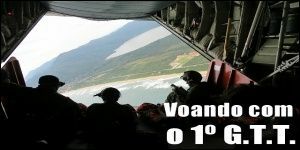 Probablemente solo se embarcaron con propósito de trasladarlos a los diferentes frentes de guerra. 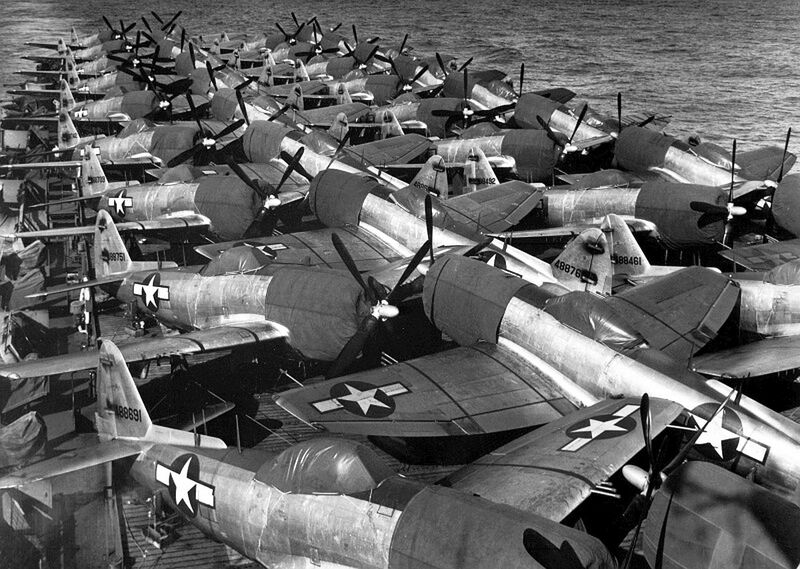 The aircraft are being transported. 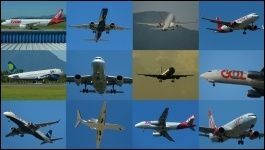 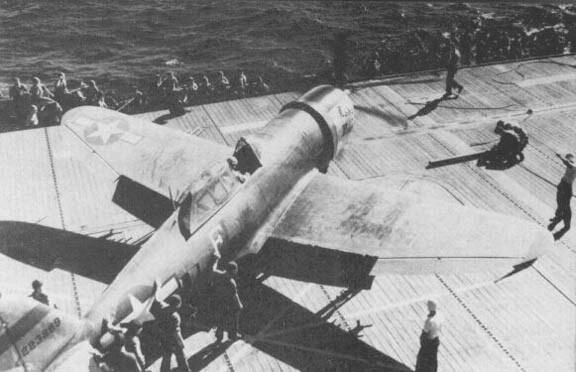 Some photos show planes with no props, or tail surfaces. 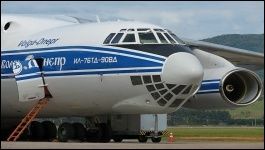 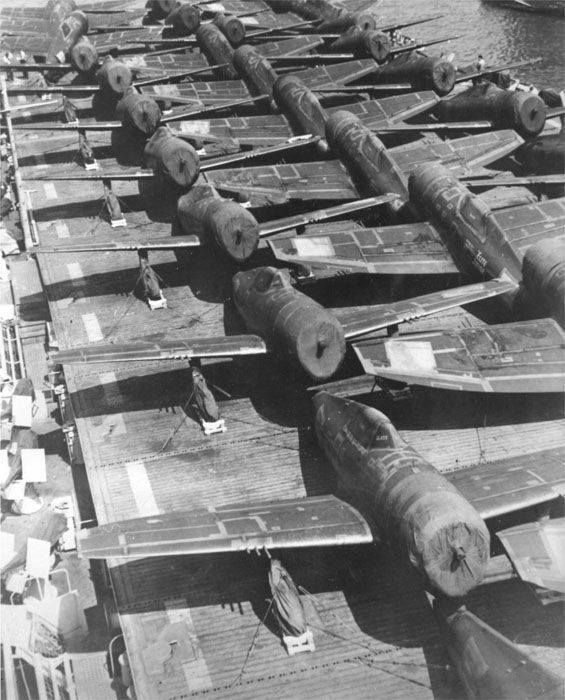 These aircraft are being transported between ports with docks & cranes, to load, and unload the ship. 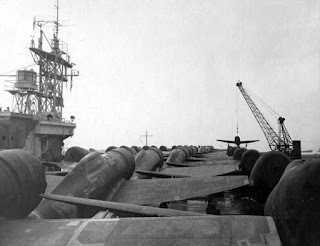 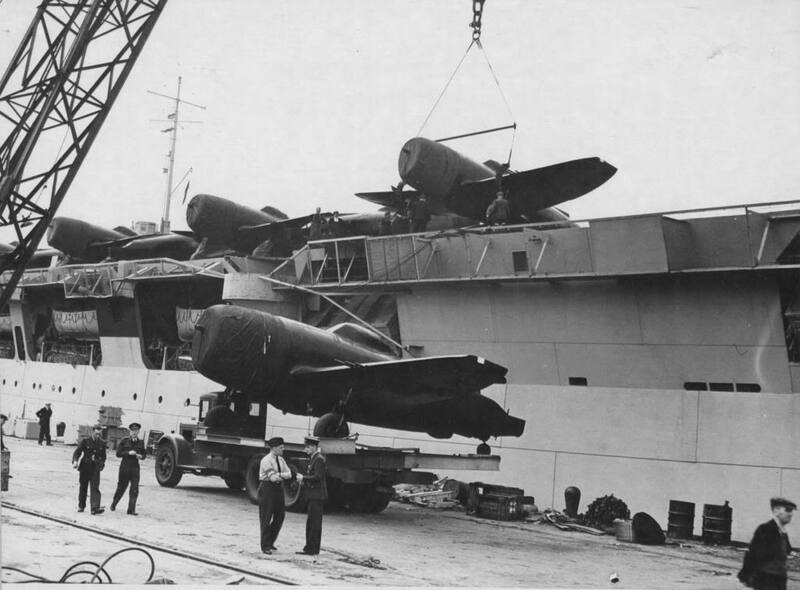 The aircraft being transported complete, are loaded on the ship at port with a crane. 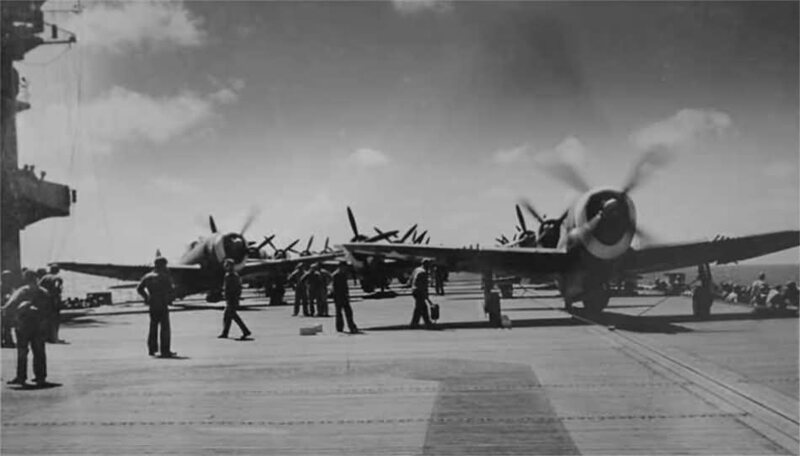 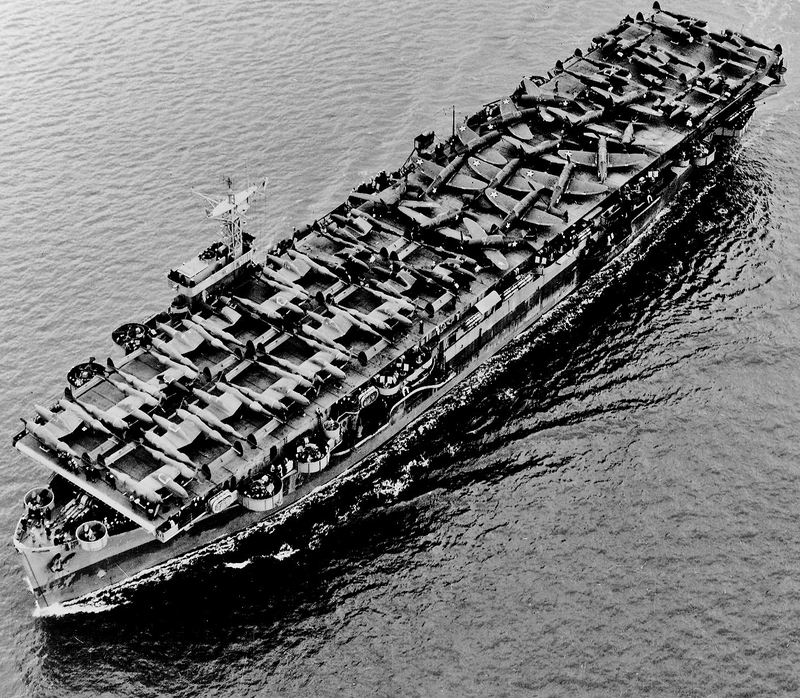 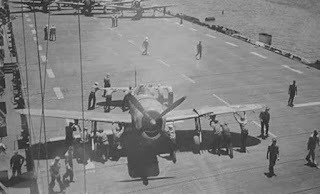 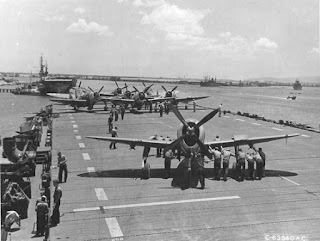 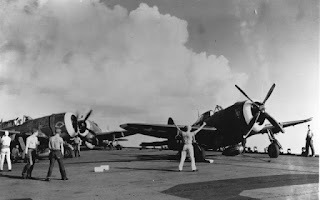 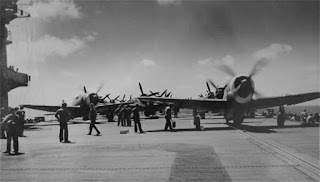 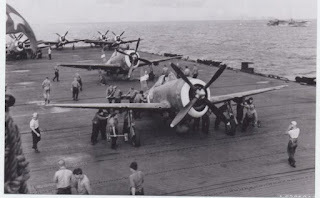 When reaching their destination they are flown off the carrier, and land at an airfield at their destination. 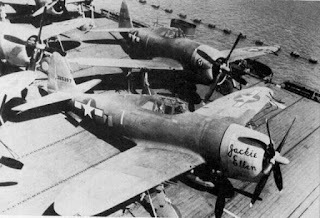 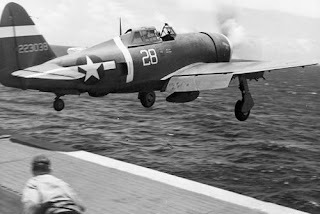 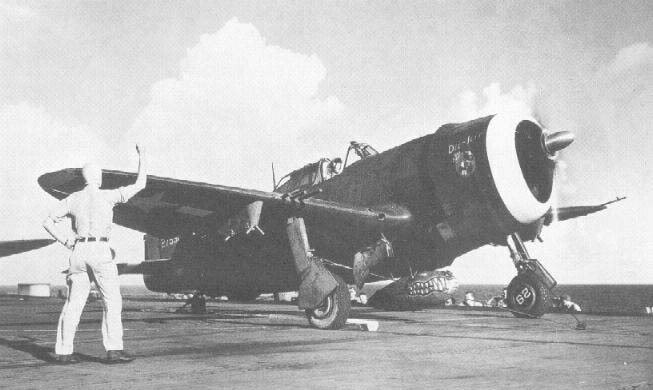 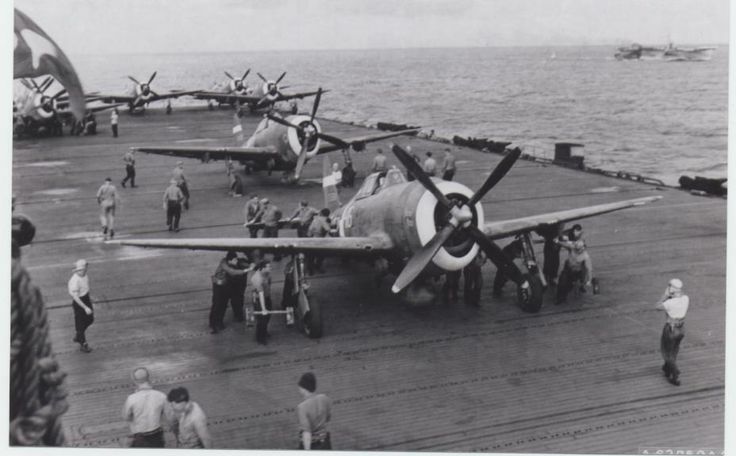 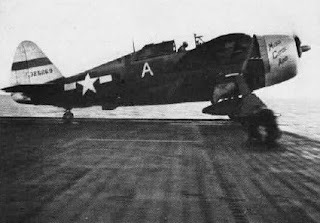 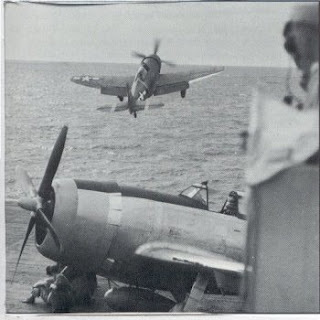 Using the (then current) bridle system of catapult launch, the aircraft could launch from the carrier, however they don't have a tailhook, and aren't designed to survive a carrier landing, so they can't return to the carrier.